October 17, 2018 12:52 pm. Five-year-old gelding Excalibur heads into Saturday’s Listed Jakkalberry Classic (1950m) at Rotorua in fine fettle according to trainer Shaune Ritchie, but the wide draw of barrier 11 will ensure he is ridden conservatively once again. 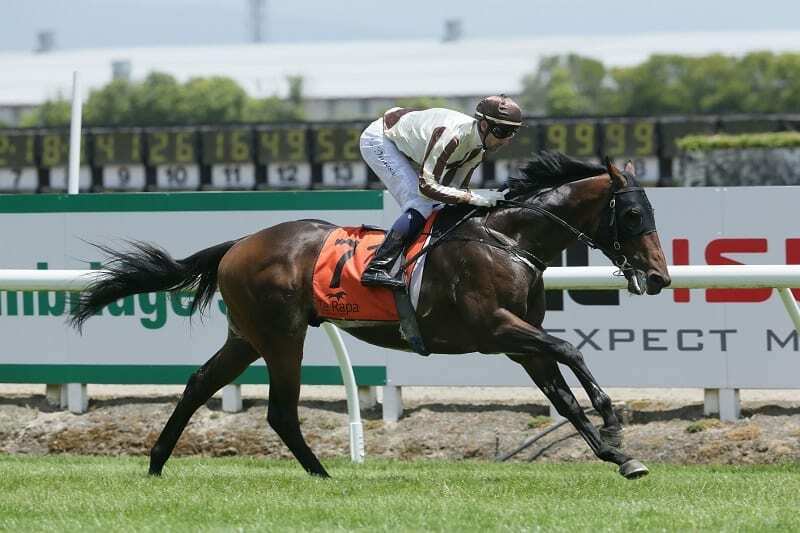 The winner of six races, Excalibur has found the line well in his two runs this campaign, including a strong second in the Listed Haunui Farm Karaka Classic (1600m) last start and will relish the step up in distance. “In both runs he drew wide and was ridden quietly and the situation will be the same on Saturday unfortunately,” Ritchie said. Bridget Grylls will again take the reins on Saturday and Ritchie believes the speed of the race will dictate whether his back-marker can win. “There appears to be a little bit of speed in it, so if there is a decent tempo he’ll be attacking the line,” Ritchie said. Rated 86, Ritchie is keen to work his progressive stayer through the grades and stick to handicap conditions where possible, with his campaign likely to culminate in the Group 3 NZ Campus for Innovation & Sport Wellington Cup (3200m) in January. “We’ll give him a short break after the Wellington Cup and if he’s performed up to high expectations then we’ll look at Sydney in autumn. Ritchie said he hadn’t ruled out another tilt at the Group 1 Barfoot & Thompson Auckland Cup (3200m) with Excalibur, a race in which he finished seventh earlier this year, but the set weights and penalties conditions of the race did not suit the stayer right now given his place in the ratings. “I suppose it depends on how his form holds up this campaign as to whether those conditions will suit him come March. “I’m reluctant to set him for the race. Obviously like all trainers with a handicapper going through the Cups we try to race the horse well without trying to attract too much attention from the handicapper.